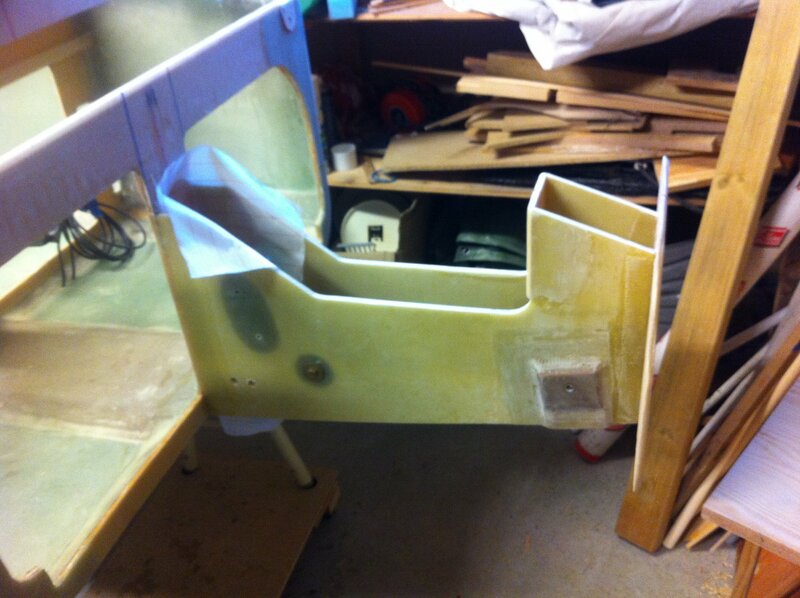 2013-04-28: Started by making the F0-bulkhead and the F5 plate. I am going to extend the nose by 4″ so I have traced a new contour that makes the F0-bulkhead 5mm higher. 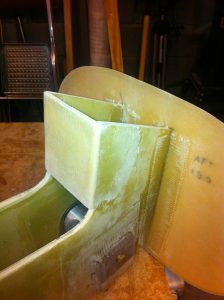 I glassed the aft face with 1 BID, the front face of F5 with 2 BID. Then – after cure – I floxed them in place holding them together with nails and some tape. 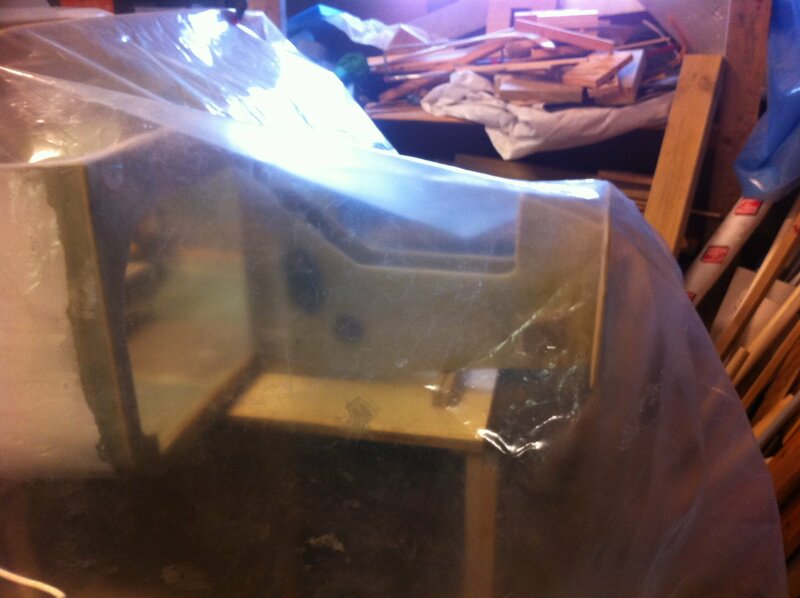 2013-04-28: Taped F0 to NG30 with four 2BID-tapes inside and outside. Set to cure in my heat-tent. 2013-04-29: Glassed aft face of F5 with 2 BID after rounding the edges. Glassed front face of F0 with 1 BID. 2013-04-29: Aligned the fuselage in all directions, made a small table to rest NG30 on while attaching it to F22. Floxed NG30 to F22, taped the outside with 2BID and set to cure in the heat-tent. I will tape the inside after this is cured to avoid misaligning NG30 while taping the inside since it’s so narrow. 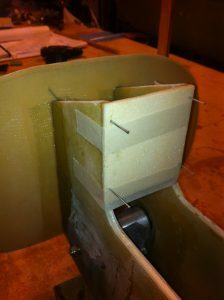 2013-04-30: Taped the inside of NG30 to F22. 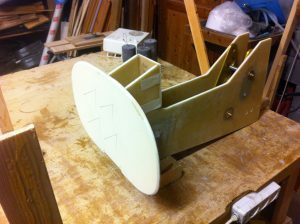 This step is now finished. Again, the instructions said it should take an hour or two. I used 5 hours working very fast in my opinion.